Since the release of the new iPhone, the iPhone has become the headline news of the major media, and the iPhone XR dual card version has aroused great interest among consumers, but at present, the iPhone XR dual card version is only released in China, and has not been announced in other regions. The 6.1-inch full screen makes the iPhone XR’s screen very fragile, so be sure to buy an iPhone XR case. Today we will recommend the best wallet case. 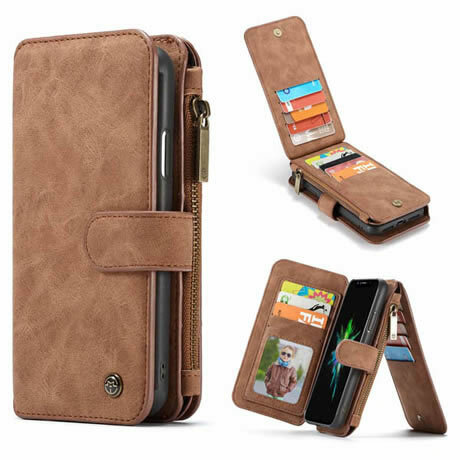 This CaseMe Wallet is only suitable for your iPhone XR device. The PU leather structure may seem complicated, but it is enough to prevent scratching the appearance of the smartphone. The soft TPU can be absorb shock inside. The magnetic flap allows you to easily secure and open the case for further protection. It gives you plenty of room to store your credit card, ID and money.